Second time unlucky for the Rosenblatt recitals as the second one of the new season also had an indisposed singer programmed, so instead of Carmen Giannattasio we had Ruxandra Donose performing, fresh from her triumphant return to the Royal Opera as the Composer in Ariadne auf Naxos and her recent Carmen in Calixto Bieto’s celebrated production at English National Opera. She explained at the start of the recital that she put together arias and songs she loves despite of any strange leaps in mood. Clearly a deft decision being asked to fill in for another artist at such a short notice and also a great chance to show her taste in repertoire and to display her versatility. 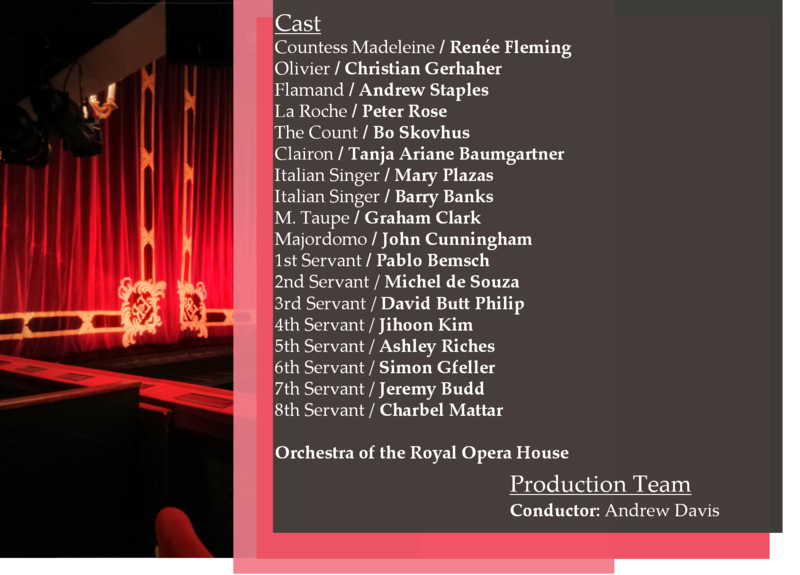 Her two Carmen arias (second as encore) were predictably beautifully executed with impressive ease and sparkle. Hinting at a naughtiness inside but never becoming base and cheap. What was immediately noticeable was her easy going stage manner and personable character. All too frequently singers look so ill at ease on the concert platform without being able to hide behind make up and costume. Her Offenbach aria was coquettish, sassy she had great fun playing with the text. The letter aria from Werther was a solid attempt at transmitting the sense of sadness and the world closing in. Her dark hued voice used with artistry to convey the mood. The three songs by Fauré were a good display of her ability to restrain her exuberance and not smother the material under artifice. So effective she was in evoking the dreamy mood that her Eboli was like a thunderbolt. Her rendition of this old warhorse was captivating, her dark chest voice reflecting the troubled state of mind of the heroine. Despite a certain shortness of breath at the finale she pulled off an impressive end to the first half. After the interval the programme took a more romantic turn with Mon cœur s’ouvre à ta voix which was seductive and with a hint of calculation behind the pleasantry. Her use of her dynamic range to colour the aria and its different moods was very effective. A sign of how committed her signing was throughout the evening. The sets of songs by Enescu and Bretan were beautiful and unfussy. The second set in Romanian was particularly notable for the sheer joy and abandon she invested each one of them. 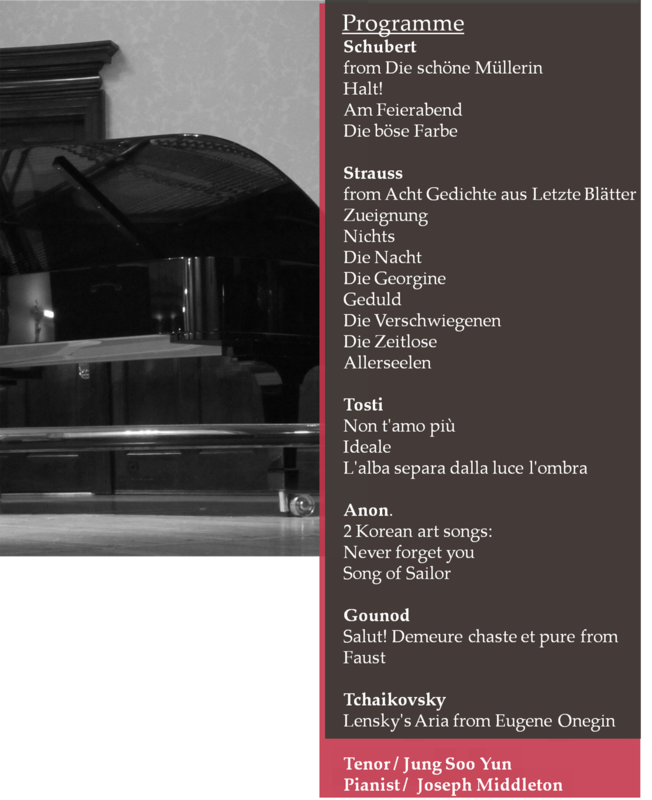 I always relish an artist inserting songs in their native language in a recital as it removes any residual language barrier and allows for direct a communication. Particularly the wistful last two songs were a great display of sensitivity and piano singing. The final Rossini aria showed her agility and her adept coloratura technique. What we maybe lost in not being as quick firing as some was a more rounded sound that caressed the ear at every turn. Humanising what can seem like empty fireworks in the hands of other singers. As you can tell I really enjoyed her performance I was rather excited to see her after her excellent Composer at Covent Garden and she did not disappoint. Her unwavering intensity paired with her musicality were wonderful to see. If you have been reading my blog for sometime or follow me on Twitter (there are such masochists out there, I’m told) you will know how much I like attending as many recitals of the Rosenblatt series as possible. For a privately organised, and increasingly high profile, series it is extraordinary that it has reached its fifteenth year. A testament to the dedication of the organisers and now even with a record label to release the recordings. 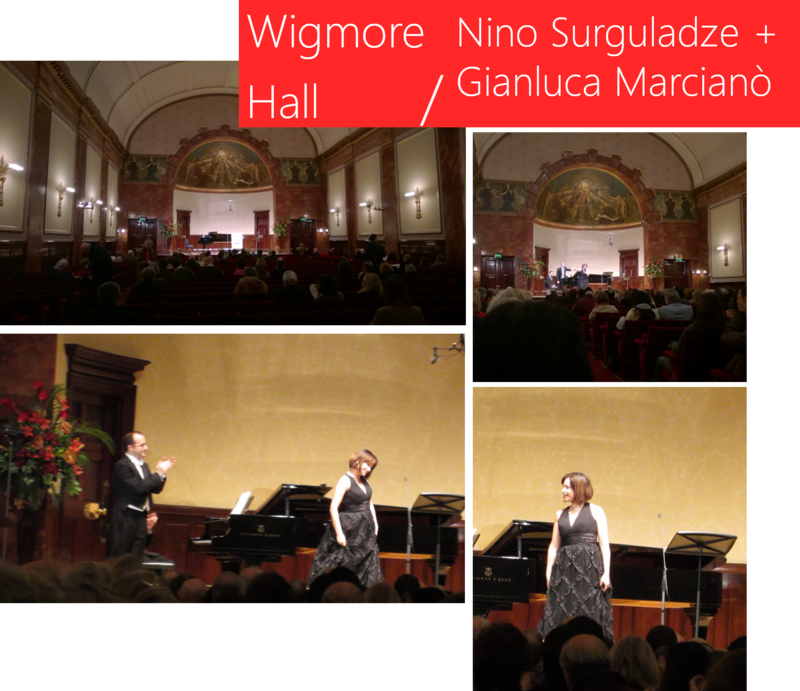 With the relocation a couple of years ago to the Wigmore Hall, they are going from strength to strength and in a venue that is ideal for singers giving, frequently, their first London recitals. Here’s the run down of all recitalists in the coming season, the prices are very reasonable with a top price of £30, they would make a good starting point for anyone interested in opera and song and haven’t dipped their toe in live performances. 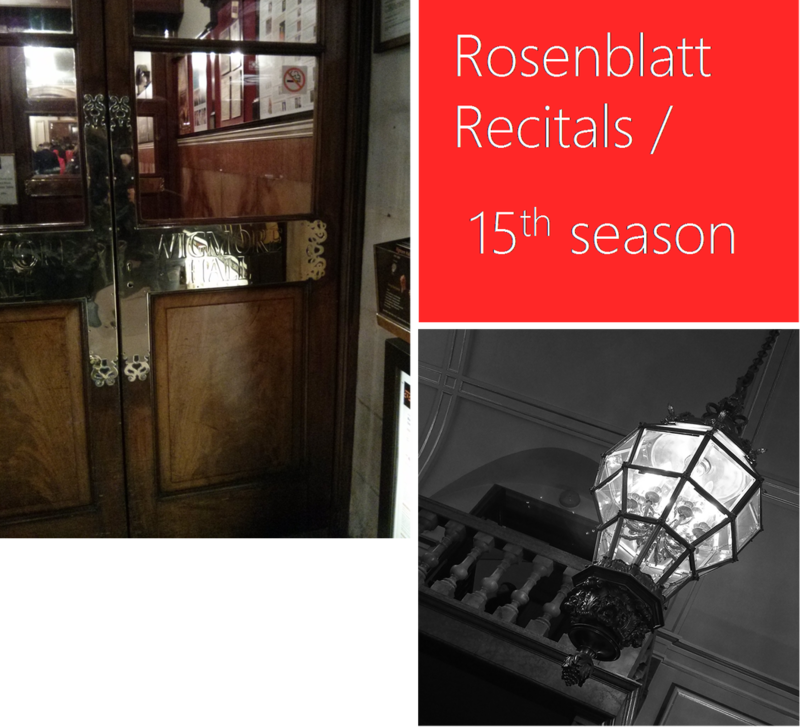 The opening recital by Stephen Costello marks his solo return to this recital series after his UK debut with the Rosenblatts in 2006. He did sing for them in 2008 when he was paired with his wife Ailyn Pérez. As Stephen Costello was indisposed Javier Camarena has stepped in, for what will be a rather exciting occasion as it marks his UK debut. One of those out there treats, having a singer of the calibre of Ailyn Pérez in a music shop in North London suburbia. Les Aldrich in Muswell Hill was the scene of the first pop up gig since its acquisition by Ian Rosenblatt (of the solicitors and Rosenblatt Recitals fame). All it took was a small platform, an electronic piano played by Gary Matthewman and a few chairs borrowed from the bookshop next doors. The selection of songs was clearly off the cuff, which added to the fun aspect of this gig. We were treated to a handful of Broadway show tunes full of bubbly ebullience and spark. Her creamy tone and bouncy presence making them irresistible. The two crowning glories were Gershwin’s Summertime, full of longing and that certain amount of statuesque poise that Leontyne Price brought to the music in her various recitals and the famous studio recording of Porgy and Bess. The other was her lusciously sensual rendition of Consuelo Velázquez’s Bésame Mucho delivered in the mellifluent manner only a Spanish speaker can bring. Her great ability to communicate the music she sings is undeniable and the impact is remarkably similar in a vast opera house or a tiny music shop. On top of all the wonderful singing she was also cajoled into trying to play La Donna e Mobile on a ukulele (as seen on the photo above) by some of us present in the audience. She is working on it so stay tuned for a future rendition! If you see her in recital in the coming few months don’t be too surprised if she picks up a ukulele for the encore 😉 Or just pop and see Turandot at the Royal Opera House to witness her stunning assumption of Liù. PS That signed CD sleeve will be causing some chuckles for months to come. It is sometimes an unpredictable ride when attending a recital. 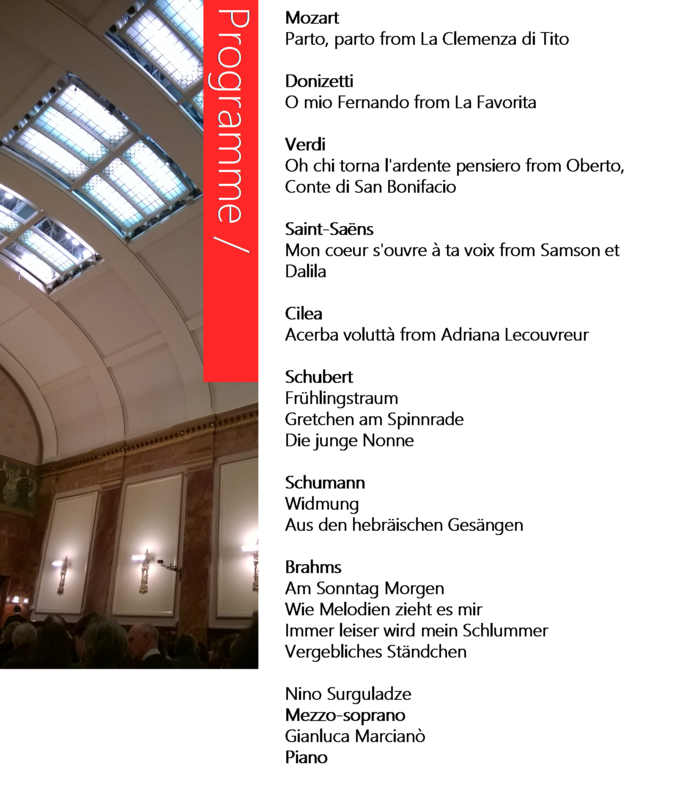 What seemed like a straightforward programme of opera arias in the first half and lieder in the second became a very mixed up affair last night. What made the biggest impression was Surguladze’s unfussy and confident platform manner. Not the one for too many ridiculous mannerisms or unnecessary overacting. Her presentation was simple and wide open eyed. 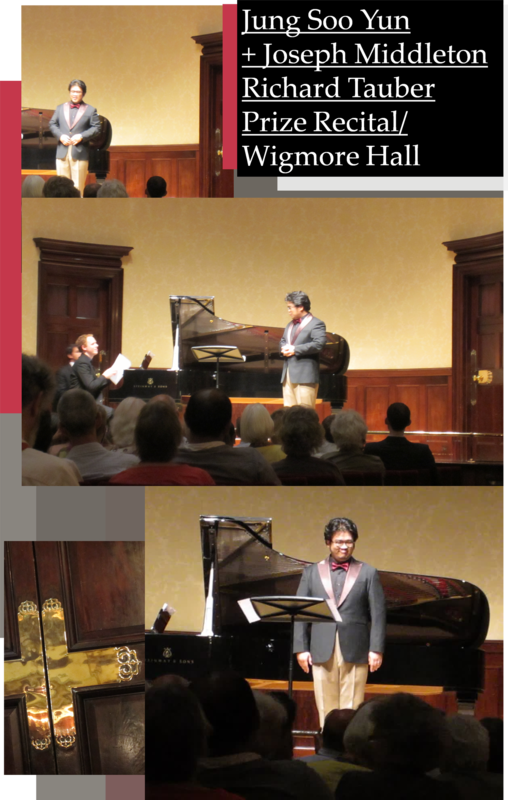 Unfortunately what let her down was not getting used to the intimate acoustic of the Wigmore Hall. She spent a large part of the first half singing far too loudly and in the process compromising her technique, diction and colouring. The opening Mozart aria was rendered irritating with the excessive vibrato and the forced volume. 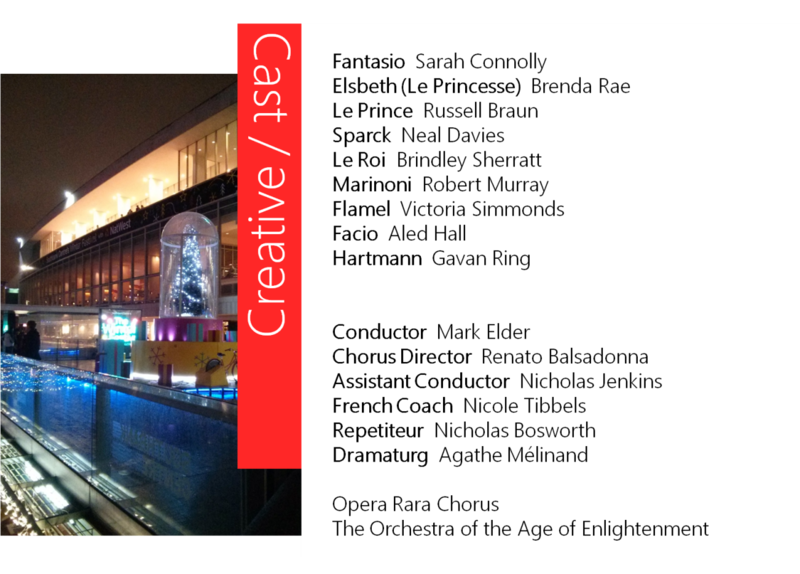 Thankfully things started to settle mid way and led to two beautiful final arias. It was disappointing that her French was cloudy and a memory lapse mid aria did disturb what was otherwise a gorgeously sung Delila with all the sultry charms, chest voice and warm tone to die for. 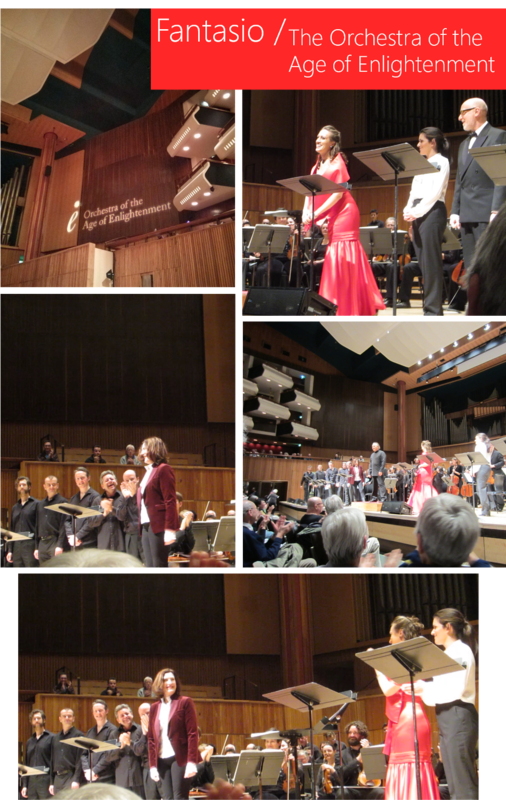 Her Acerba voluttà was exactly the kind of singing that excites me, full bloodied, open and dramatically involved. What was all too obvious was what a wonderful actress she must be in a fully staged opera. The second half brought both a music stand on stage and a much more quiet delivery and appropriate interpretation. Her Schubert songs were lovingly delivered but not in the class we are used to at this particular Hall, with Alice Coote being the resident lieder deity. They need a quiet dignity and internalised emotion than only years of stage experience can bring. Given time she could be a compelling lieder interpreter in the future. The most surprisingly satisfying songs were the three Brahms numbers where she brought glowing girlishness and attentive subtlety that presented her warm voice in the best possible light. Her Georgian encore was also a great showpiece for her glowing dark timbre and flowing legato. She was accompanied rather beautifully by Gianluca Marcianò taking the night off from conducting an orchestra and playing for his leading lady. He showed to be a natural accompanist displaying textural variety and rapport. 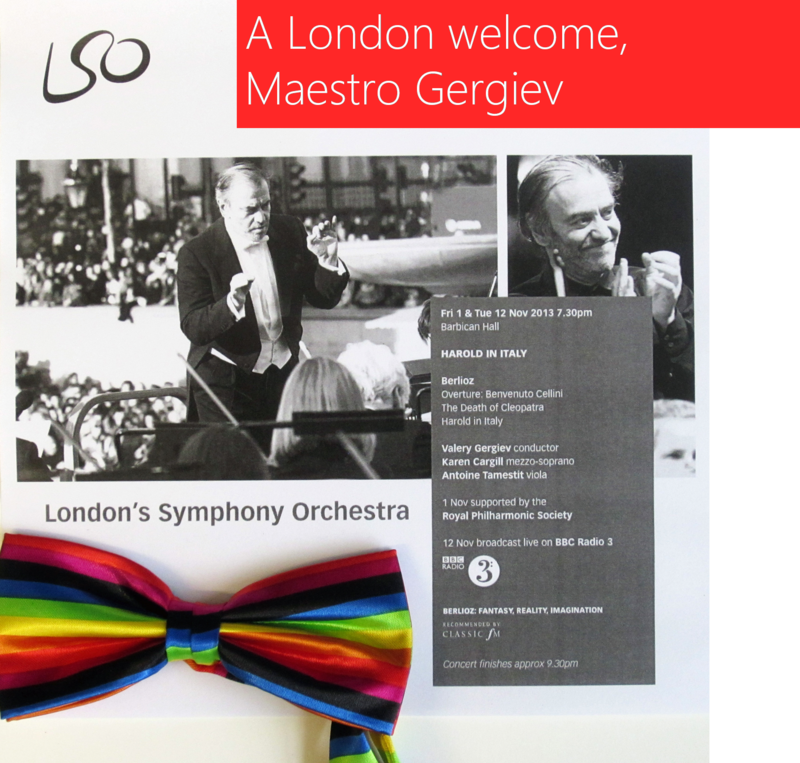 Having seen him conduct beautifully Bellini and Verdi last year I had high expectations and was not disappointed in the slightest. Makes me wish more conductors would accompany singers on the concert platform. As he brought a different sensibility than most professional accompanists which added to a pleasurable evening. 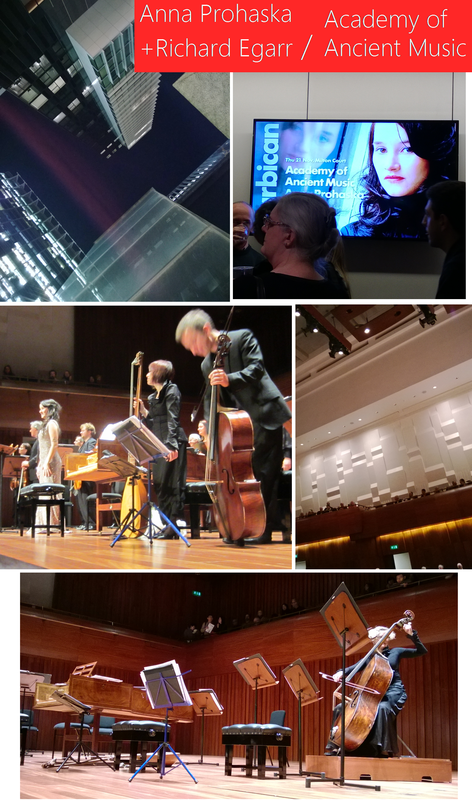 Once more a very enjoyable evening if a bit more mixed in results but this is the drama and excitement of live performance with many variables that can alter its course. My first experience of Anna Prohaska live was a revelation. She has a reputation forged on her precocity (at 17 making her professional debut) and quirky videos filmed in hospitals and train platforms. The impression one gets from the promotional materials would be of seeing the Björk of classical performance and I would tend to agree. She presented a stage presence of great maturity for an artist who is only 30 years old. Her voice is such an exciting mix of sensuality and piercing intensity being instantly enchanting. Her elfin looks underline her interpretations with a full body connection to the text. The music she sang was from the late 17th and mid 18th centuries and yet her presentation was as connected and immediate as if she was interpreting a piece written just for her and having had the benefit of a long chat with the composer. A great example of when historically informed performance (not always a fan) doesn’t have to be characterless and academic. The orchestra’s vibrant playing of the very merry and weather-beaten Locke incidental music was a great way to open the concert. In the simplest moments of the 3rd Purcell song caressing the text and breathing a sensual warmth to every phrase. The suite of dances and arias from The Fairy Queen were absolutely evocative of the magic of Purcell’s grand Entertainment. The evident comradeship among the players was too evident and a month long tour of Australia must have made the bond stronger. The particular delicacy of The Plaint and See, See, Even the night herself is here capitalised on Prohaska’s silken delivery backed by an emotional investment and bright projection. It was both deeply sensual and individual…all too frequently the eloquence and simple beauty gets marred by disinterested performers that seem to add very little of themselves to the material. Our leading lady with some great viola playing by Jane Rogers wove her magic in the most quiet and intimate way imaginable. The second half started with the harpsichord tuner leaving his phone on the instrument and Richard Egarr urgently returning it backstage…which made for a fun and giggly start. The Arne overture was a reference to the first recording of the orchestra forty years ago and we were zipped through the many mood swings and tempi in record time, to be delivered in the capable hands of the young Handel and his fiery Italianate arias from Rinaldo and Amadigi di Gaula. Prohaska surely used the bright top of her voice to great effect. Those two arias made evident that her voice may not have a rather large size but she makes up in agility and fire. The way she transmitted vulnerability in her Ah! Spietato was breathtaking, not a contrived version of pain, much loved by transatlantic divas, but a genuine sorrow that filled the air with gorgeous sound and emotion. A superlative example of when period instruments allow for such simplicity and immediate, emotional, responses. The sinfonia from Saul was like a mini symphony wedged into the an oratorio in the usual Handel way. An ear pinning orgiastic concoction of seductive flute patterns overlaid with sweeping strings and punctuated by sharp attacks on the harpsichord. The rendition of Farewell and Let the bright Seraphim were a glorious end to the evening with some immaculate coloratura passages. The trumpet playing by David Blackadder was attention grabbing but also a great match for the jollity emanating from the opposite end of the stage and Prohaska’s delightful swaying presence. We were also treated to the most spectacular encore of Dido’s lament for Dido and Aeneas. Every phrase had its logical place as it brought the character to life, eery remember me uttered with perfect simplicity and deep urge. A glorious end to a tremendous evening and a singer that will have to follow much closer from now on! Also worth mentioning how wonderful Milton Court is, with a resonant warm acoustic and clean design. Well worth returning to listen to smaller ensembles, making future visits to the Barbican complex much more interesting. And their bar was also very well priced…if you need a drink while there. 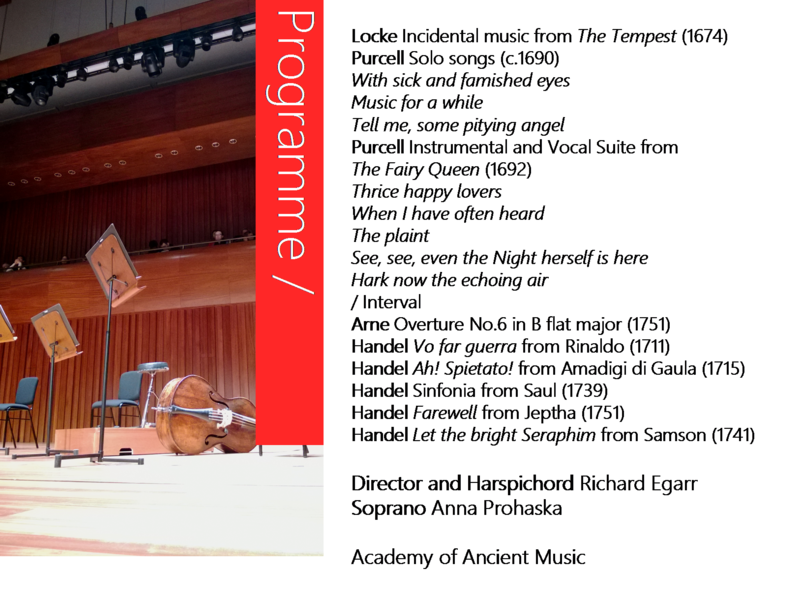 Oh my first live sampling of Anna Prohaska and in an all baroque programme at 7:30…exciting! 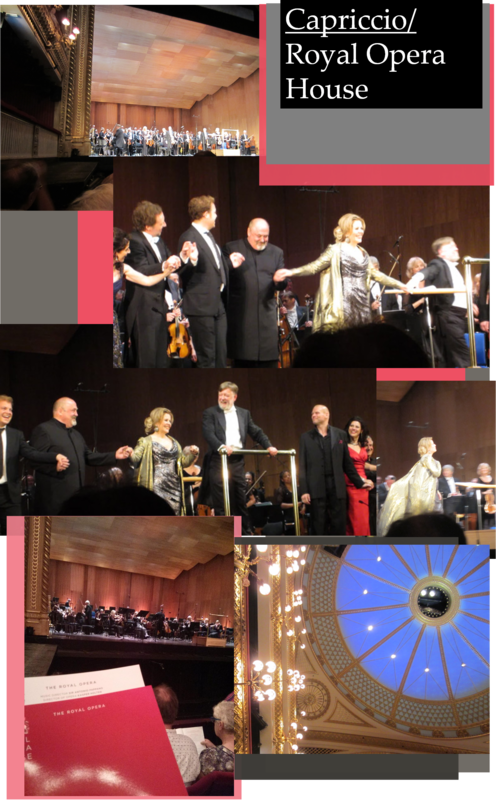 My first Anna Prohaska experience was euphoric, she was fantastic…a potent mix of elfin sexuality and creamy coloratura. And getting a silken rendition of Dido's lament as the encore was more than we could have hoped for. @VickyShilling Absolutely! She brought every word alive.